De ZEYP is a cultural centre located in Ganshoren, one of the communes of the Brussels Region (20.000 inhabitants), with many activities in the socio cultural and arts fields: theatre, literature, music, exhibitions, with amateur and professional arts, integrationprojects new citizens…. Around 35000 visitors per year, all ages, from local and Brussels region. 13 people are employed in De Zeyp working with many volunteers from the neighborhood. in 2007 De Zeyp started with arts projects with disabled people: workshops and performances. De Zeyp cooperates with several day centres and residential centres, and with individual artists. The productions are created by professional arts directors for dance and for theatre. 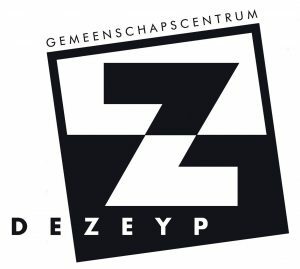 For this work De Zeyp is recognized by the Flemish Minister of Culture, as well in the field of participatory work and inclusion, as well in the field of arts. Has been executing international performance and training exchanges, and building networks for artistic and accessibility awareness collaboration since 2009. The primary focus is to be a connector, to promote opportunities for artists who require tour and collaboration support, and to enhance the development of their internationalism, as well developing festival collaboration on a global scale. Our work addresses the fact that access to culture, arts and events is not equal for everyone. This includes providing new possibilities for children’s culture, applied arts for professionals, disabled arts festivals, and access to arts for disabled people of all ages. Expert in European projects. Its Arena Theatre is known for innovation and inclusion. An innovative project set on promoting creative and accessible dialogue through inclusive artistic practices. By focusing on multidisciplinary contemporary creation and aiming towards cultural decentralization, Vo’Arte aims to strengthen the relationship between all communities and cultures, while expanding and developing new audiences. Founded in 1980. Situated in Zagreb’s most populated boroughs (Trešnjevka South and North) with over 120,000 population, works both as a neighbourhood sociocultural centre and a meeting point for various cultural and artistic events. We work on programs that promote self-creation, lifelong learning, inclusion and enhancement of quality of life. Our main activities are cultural and art education, cultural interest development, amateur and professional art promotions. Connects and empowers culture centres, facilitates international collaboration and contributes to the professional growth of its members. ENCC believes that participation in arts and culture on an individual level enables personal development as well as development in society. A non-profit NGO in the disability sector, promotes the views of over 15,000 social services and their umbrella associations. There are over 80 million people with a disability throughout Europe. 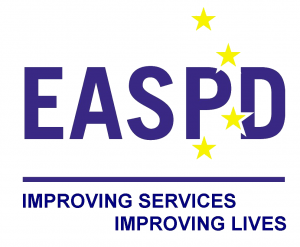 The main objective of EASPD is to promote equal opportunities for people with disabilities through effective and high-quality service systems. Founded 18.10.2001. with the purpose to better promote Deaf Culture, its values and the inclusion of deaf people in all spheres of cultural life. Besides the theater, is involved in the promotion of sign language through sign language courses, poetry in sign language, sign-dance (a combination of dance and sign language), audio-visual arts authors Deaf – painting, photography, sculpture, video art, music, narrative story in sign language, the promotion of sign language and Deaf Culture through cultural events, workshops, lectures, articles on the website and the presentation of the struggle for recognition of sign languages as languages of cultural minorities living in Croatia. Non-government organization of professional actors, directors, psychologists and volunteers. They use interactive theater techniques which are innovative for Bulgaria to help children and young people, regardless of their background and abilities, to know and accept themselves and the others; to stimulate their personal development, and encourage their positive involvement in public life.